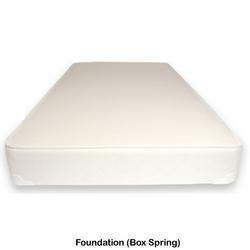 The Naturepedic deluxe foundation is made from many of the the same materials as our mattresses, most notably organic cotton fabric and batting. The internal frame is constructed from high quality FSC certified wood, providing strong balanced suppport for your mattress. 38in x 80in x 2in.